At his home nestled in the beautiful mountains near Marinilla, Colombia, the owner of a large resort brought the familiar look of the Cartagenian beach huts to his very own backyard. 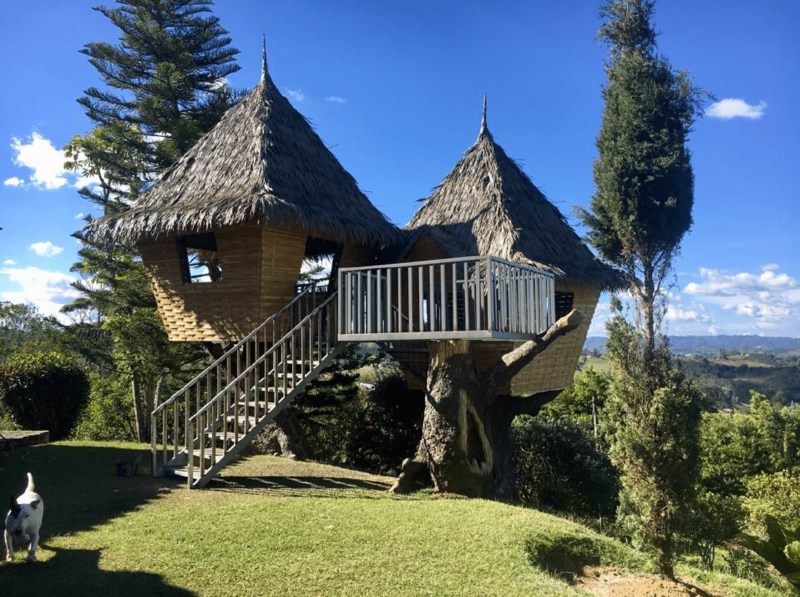 However, rather than building a backyard bar or cabana for his own personal use, he wanted to do something special for his grandkids… so he built them a playhouse! A playhouse that could provide both beauty and function. After working out the logistics with the Endureed team, it was decided the Viva Series Palm was perfect for the job. As a resort owner, he understands the importance of a quality product to protect his investment, and like all grandparents, the primary concern was safety for the kids. The Viva Series provides the durability he needs and the beauty he wants. Grandpa was blown away by the finished roof presentation! Something tells us grandpa is getting more than just a novelty coffee mug this Christmas. If our thatching is tough enough for the grandkids, it is tough enough for anything. The Viva Series is constructed to withstand long-term UV exposure, fires, brutal weather conditions, or the juice from a toppled sippy-cup. Hey, it happens, but with Endureed’s guarantee, our client can rest easy knowing his investment will be enjoyed by the next generation. That’s Endureed’s promise. Congratulations gramps, no longer a dull weekend at your house! We all know life gets busy and can prevent us from vacationing in our favorite tropical destination as often as we’d like. Fortunately, Endureed has a solution that allows you to unwind in a tropical atmosphere regardless of the location, like grandpa’s backyard. We offer solutions in so many styles, that whether you want to bring the Safari feel of Tanzania home, or recreate that tropical locale, we have you covered! 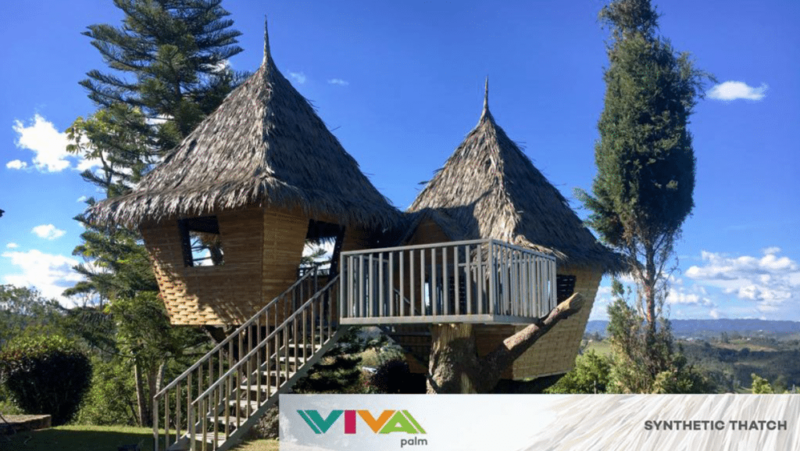 From a backyard bar in Florida to the coolest treehouse you’ll find in Colombia, viva grandpa, viva grandkids, VIVA Palm!